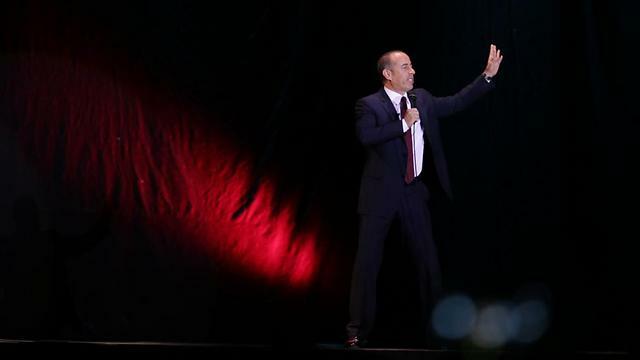 Hugely successful standup comic behind hit show Seinfeld returns to Israel for only 2 performances in Tel Aviv’s Menora Mivtachim Arena on December 30; Seinfeld previously visited Israel for 4 sold-out shows in December 2015. Jerry Seinfeld, considered to be one of the greatest standup comics of all time and the mind behind the hugely successful eponymous sitcom, will be returning to Israel this coming winter, the comedian unveiled during a Los Angeles gala event. Two years after his last jaunt to Israel, Seinfeld will be taking to Tel Aviv’s Menora Mivtachim Arena for two consecutive performances on December 30, with the first held at 7 pm and the second at 10 pm. Ticket prices will range from NIS 295 to NIS 1,255, depending on the seat chosen. Presale will open to El Al Matmid Frequent Flyer Club members this coming Sunday, November 12. As with his prior performance, Seinfeld’s arrival will be orchestrated by producer Gad Oron in collaboration with JS Touring. Seinfeld, an American Jew, began appearing as a standup comic upon graduation, and became one of the world’s most famous comedians when he teamed up with Larry David to create the legendary sitcom “Seinfeld”, broadcast from 1989 until 1998. Seinfeld is currently busy producing and creating a new television show for Netflix and performing live tours all across North America. The Jewish funnyman visited Israel in the past and even volunteered at the Sa’ar kibbutz when he was 15. 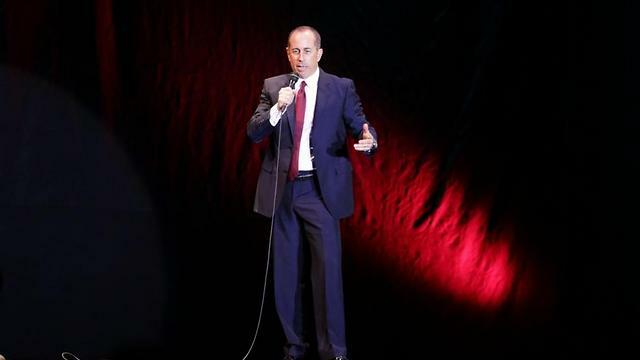 However, Seinfeld only visited Israel once in a professional capacity, when he gave four sold-out shows in December 2015 that garnered immense acclaim.